She works with leading organisations and coaches CEO’s and senior executives internationally to help individuals present with conviction and become aware of the habitual patterns that undermine their authority during business interactions. Growing up bilingual in Switzerland, Germany and England, Chloé grew to understand the true importance of presence to both personal and business success. As a trained actor and journalist, her area of expertise lies in dissecting what array of information our bodies project when presenting. By making her clients aware of their individual habits, which may hold them back from presenting with confidence, Chloé develops a tailored strategy that enables leaders to be mindful of their presence. Whether focusing on storytelling, body language or developing a resonant voice, Chloé helps individuals make an impact and leave positive long lasting impressions. Currently splitting her time between London and Melbourne, Chloé helps people achieve greater confidence and clarity in business environments through leading development programs, delivering keynotes and coaching CEO’s and senior executives at global businesses including Macquarie Bank, KPMG, Pacific Brands, Arney Fender Katsalidis and McCANN. The intersection of Chloé’s expertise as a journalist and an actress led to her fascination of human connection – particularly the unique perceptions and presence surrounding our interactions. Specifically her focus is toward how our communication, in a variety of ways, affects our ability to leave a lasting impression or impact on an audience. Within the first three seconds of meeting someone, we make sweeping judgements based on aspects such as their looks, posture and presence. Ultimately, these formulate our fundamental views as to their competency and their confidence – affecting our level of trust in them. Chloé’s practice thus focuses on which habitual patterns might undermine an individuals’ authority during client interactions, as she notes that individuals prepare their content or their pitch but often disregard their delivery or execution. She dissects the three seconds of presence to be within three key matching elements - physical, mental and vocal – to assist her clients in consciously recognising their patterns of behaviour, recognising the habitual commitments to improve and leveraging the tools to do so. Every morning, regardless of what her commitments may be, Chloé undertakes a guided meditation and vocal warm-up to prime her for the day and ‘get her in the zone’. In the podcast, Chloé details the practices and techniques she implements for her unique mindset and lifestyle. 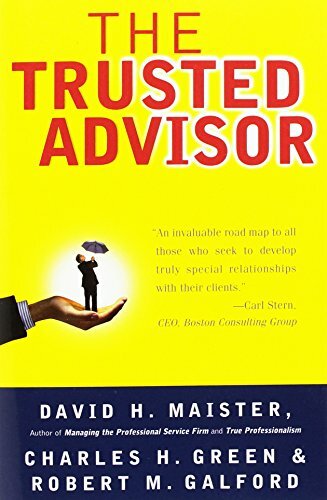 The Trusted Advisor by David Maister, Charles Green and Robert Galford. The Course of Love by Alain de Botton. The individuals Chloé primarily works with are obviously extremely competent at their job, demonstrating proficient public speaking and communication skills. However, often due to the nature of their roles, they aren’t afforded the opportunity to learn and grow through constructive feedback. She feels this is a crucial element in continually enhancing and improving your capabilities, and thus creates an environment for individuals to learn and grow. She notes that although in the initial stages it may be difficult to change these habitual processes that may hold us back in our interactions, but in the long run it will allow us to build confidence, build competence and ultimately build trust. Head to Chloé’s website to find all her details, offerings, experience and testimonials. She can also be reached on LinkedIn to discuss potential opportunities, or generally to connect with likeminded individuals.